Soooooo....anyone on a sugar high yet??? or chasing their whirling dervishes who filled themselves with chocolate this morning?? It's been a couple of years since we've had an egg hunt here. I thought Jon would be more partial to just taking the chocolate and running with it...(i'm like the Cookie Monster when it comes to chocolate!). I did however keep his supply limited, which will guilt me out of dipping into it!!! Soooo rather than hunting eggs and eating chocolate, I played the Splitcoaststampers Featured Stamper Challenge this morning! I coloured up Sumpin's Wrong with my touch markers and paired it with this fun sentiment and banner from Impression Obsession. The Designer paper is from The Every day Life Collection-Paper Loft!!! Isn't he just a cute little toadie!!!! I used to call Jonathon my little Toadie when he was a baby....Drove my Grandmother absolutely insane. She'd say that is a horrible name.....I'd say, but Toadies are soooo cute!!!!! 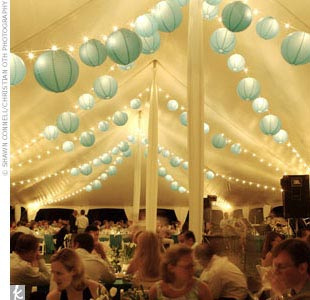 It's funny how an image can evoke memories. Grandma watches over from above and I hope that we'll be blessed with her spirit at our Easter dinner. We miss you much GG! WOW!!! What a BEAUTIFUL day! I just got back from a long walk with the dog and am pleased to report that I got quite warm in my winter weight coat! The sun is shining and the air is crisp and clean. I LOVE those kinds of days and am sure that that wont be my last walk today. We've decided to break away from the traditional Easter Fayre and go with grilled steak. Funny, I think we opted for cashew stuffed Canadian Bacon for Christmas. Quite frankly, I'm not a huge fan of a Turkey Dinner and it requires so much effort to make it and so little time to eat it!!! lol. I do enjoy it when someone else makes it though because I only want to eat it once. I abhor Turkey Leftovers!!! Ever since then, it's a rare occasion that we cook Turkey dinners. Occasionally I will cook a Big Turkey Drumstick, because I do like dark meat!!! Whatever you're doing this weekend, if you are celebrating Easter, I wish you and yours a very Happy Easter!!! Good Morning! Sorry my post is a little late as I slept in a touch this morning and then took a long walk with Sydney! 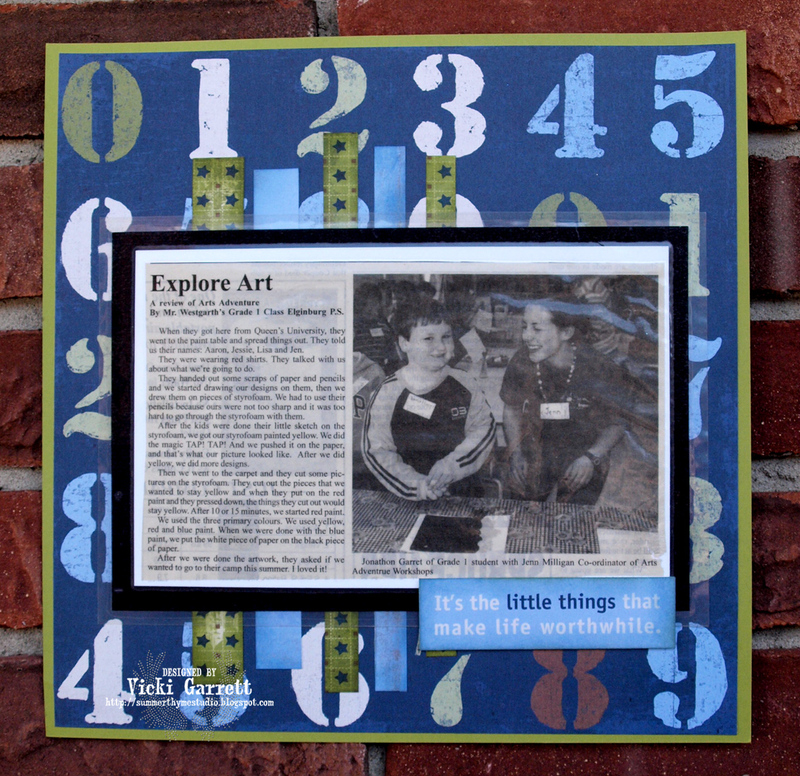 This weeks challenge was an Inspiration Challenge based on the following photograph. For my card, I used Uptown Girl Opal the Optimist, one of Bella's latest releases! 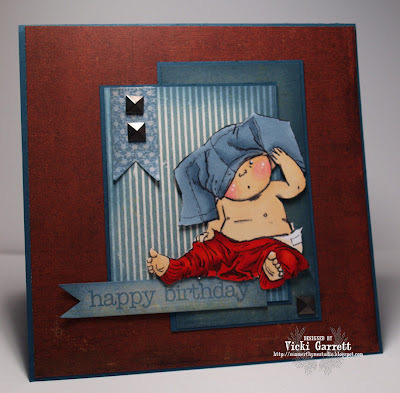 The fabulous Border is a die from Impression Obsession Stamps. Sadly, we are saying farewell to fellow babe Amanda. I'm going to miss her on the team, but will be sure to continue to follow her in Blog land!!! Make sure you head over to Blogabella to see the fabulous submissions this week. I LOVE inspiration challenges, because it's fun to see everyone's interpretations! You can also find out how to play next weeks challenge, which is a Sketch! Going to spend my day catching up on Design Team work and Spring Cleaning. I tore my closet apart last night and WOW!!!! all I can say is if you don't see a post tomorrow, please please call someone...it's quite possible I've been attacked by Dust Bunnies!!!!! Are you all gearing up for a FABULOUS Weekend? I have some fun plans, so I'm looking forward. 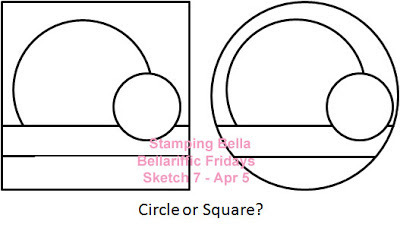 There is a whole whack of Stamping Bella Goodness waiting for me to ink up.....gonna get stampy too! I LOVE LOVE LOVE the elegant Butterfly Sihouette! Hop on over to Blogabella to see the Fabs creations! 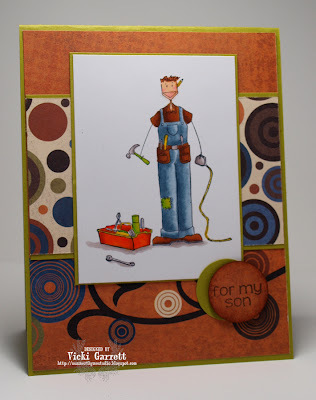 Wanted to make something a little masculine for you today!!! 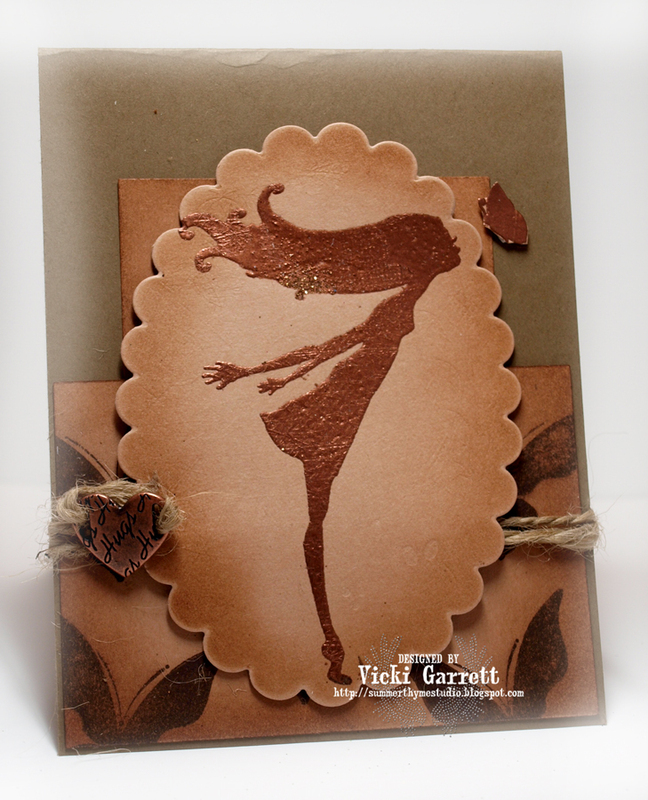 I like the way this fun card turned out! Happy Stamping and good luck with the Draw! 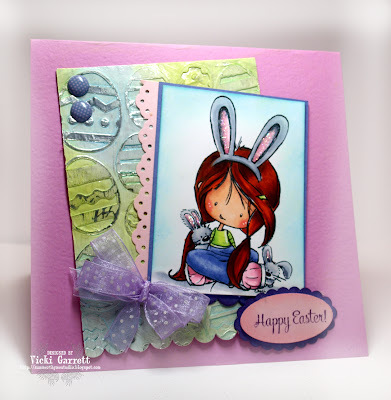 Impression Obsession Die Hop Day 2! 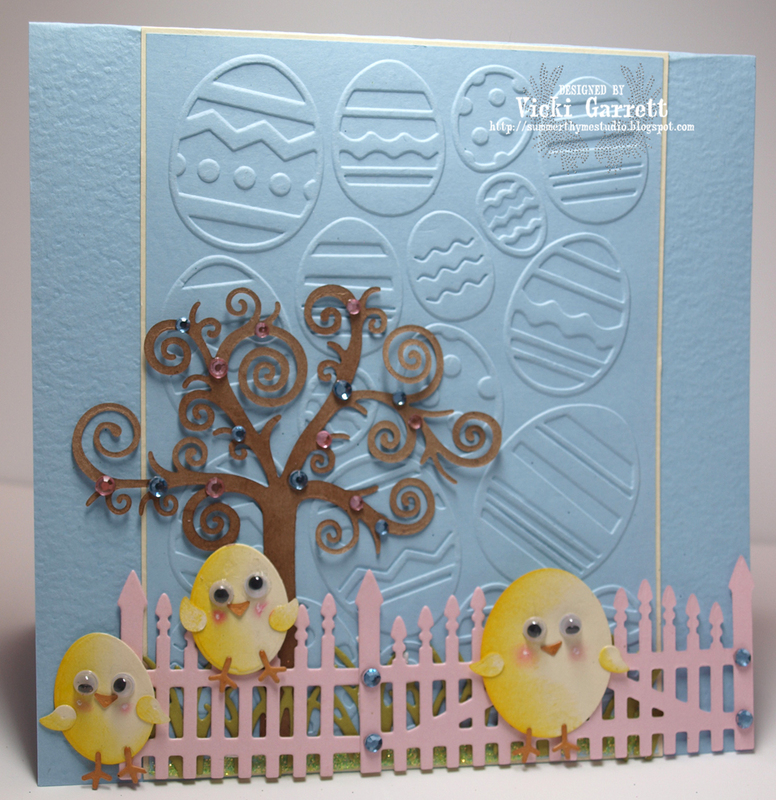 For my card I used Egg Set...Loveee these cute little chicks! IO Blog – You are HereMake sure you visit all the DT's Blog and the IO Blog and leave comments to win a die of your choice!!! 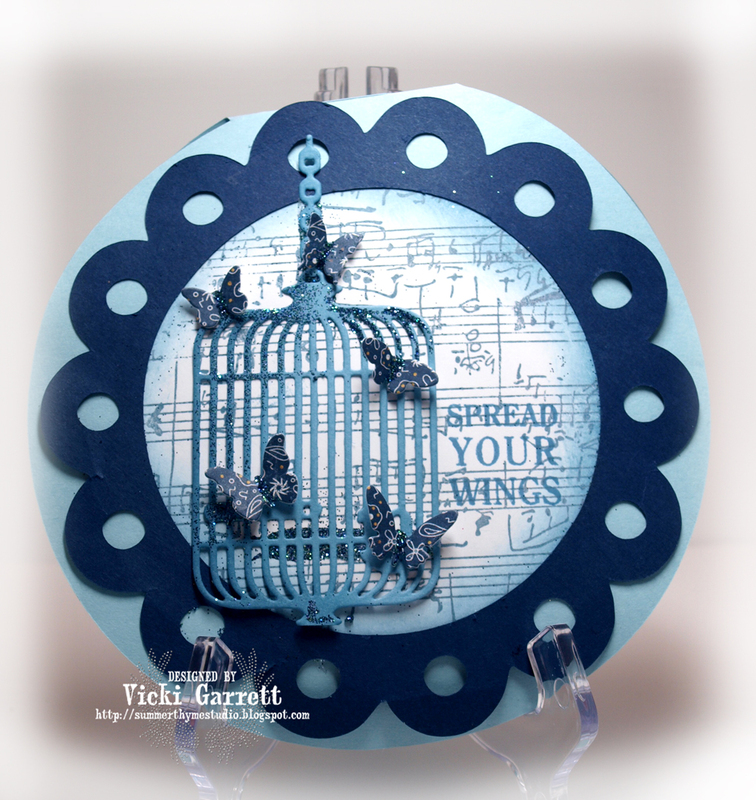 For my Background, cut out an oval die and using it as a template, sponged in some colour with Night of Navy. I then stamped the Butterfly from the Nature Silhouette Graffiti Stamps. I coloured her with Touch Markers! Impression Obsession Die Showcase Hop! How about these adorable Sunglasses? There are four cuteee pairs in the set! You can also get the rules for participating in the Prize Hop! Today I'm Hopping with the Touch Twin Marker Design Team! and I'm the last stop on the Fabby Hop!!! I enjoyed time with friends over the weekend.....was very fun and refreshing! I coloured Uptown Girl Isabelle loves her ice cream available at Stamping Bella of course! If you haven't been hopping here is the Hop list ! Bellarific Friday! It's a Guy Thing! This week we're celebrating guys! Make sure you head over to Blogabella and check out the fun submissions and the Design Team Creations and the Sketch for next week! Hope that you're all enjoying a leisurely Sunday!!! 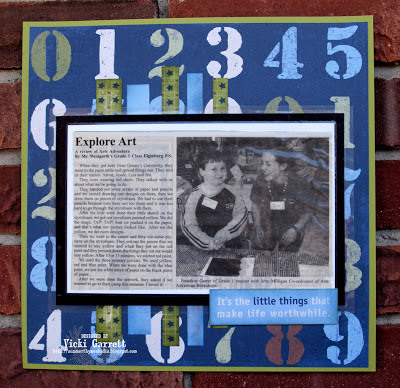 Make sure you click on the Link to check out how you could be our next Guest Designer and win $30.00 worth of Paper Loft Deliciousness!!! 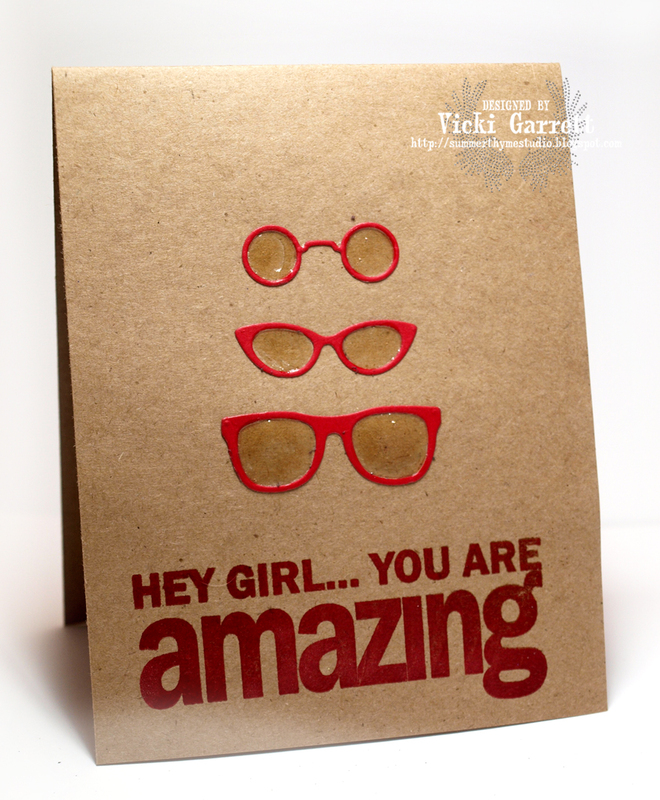 I am totally loving these colour combinations and the fabulous Cardstock accessories. Want to win some Bella's? I have to say that i'm not a fancy "technique" stamper..... I suppose if colouring is a technique, i'm all that and a bag of chips!!! 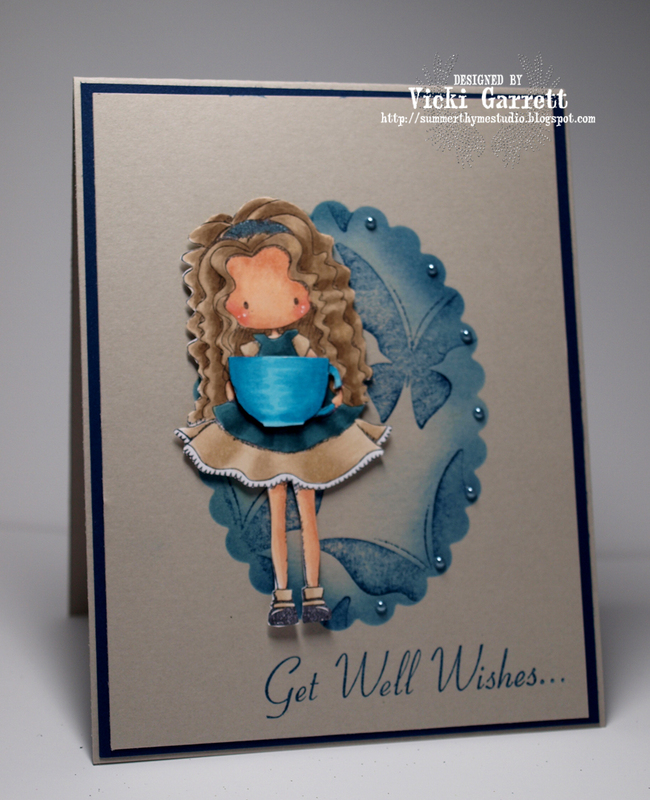 Techniques are simply not my favourite, but I did use a couple on this card-Embossing and Masking. I have to say that I LOVE LOVE LOVE this new Easter Basket Clear Stamp Set. This set also comes in cling. I stamped the basket and eggst onto white cardstock and coloured them with my Touch Markers. I then cut out the basket with the Basket Die. 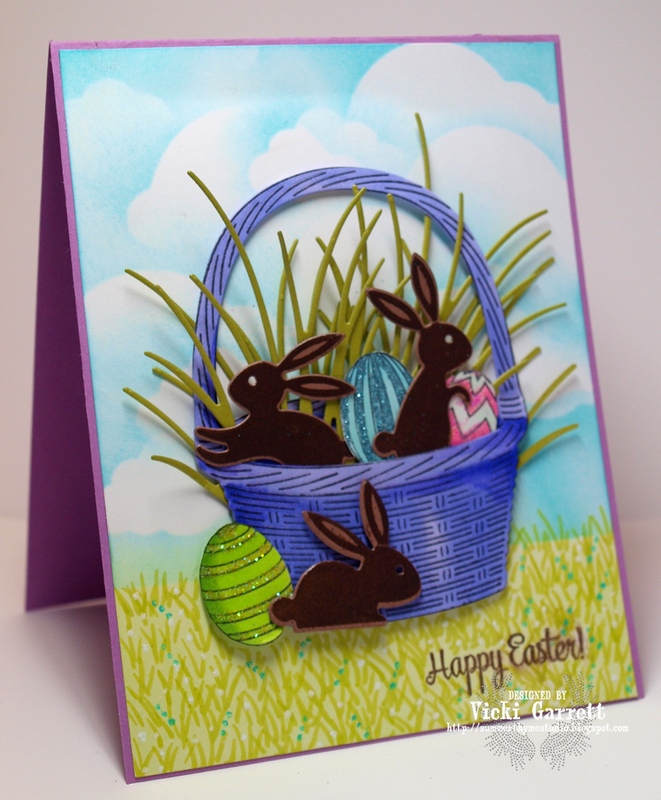 I stamped the bunnies onto cocoa coloured cardstock and embossed them to give them that shiny easter chocolate look. I cut them out with the bunnies set dies. I sponged a base of green ink and then added marker grass! It's Bellarific Friday and a New Release!!!! For my card, I created a banner by cutting out the wee hearts from this Secret Crush Petit Paper Pack by Pink Paislee. 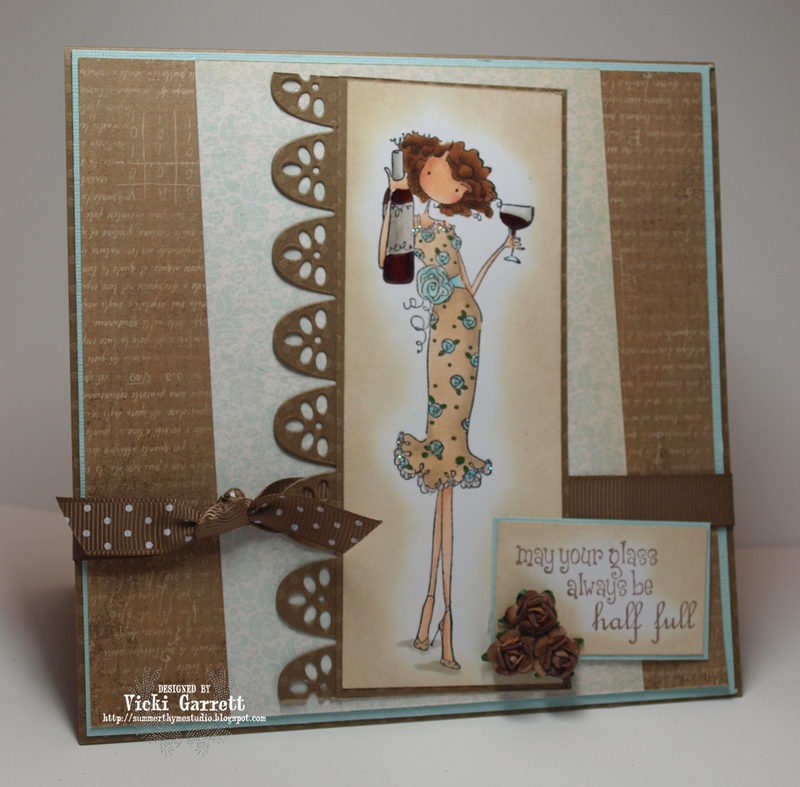 The card is created for our friends 25th Anniversary! 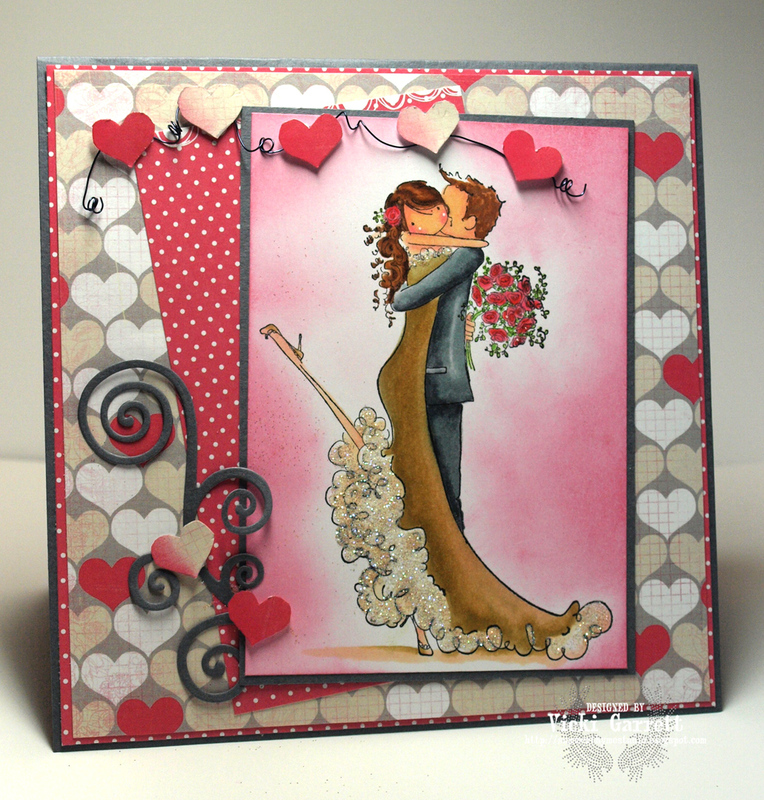 Brett and Brenda get married is not only for weddings, but works formally for any type of Lovey Dovey card! Make sure you head over to Blogabella to see the great creations from Da Sistahood! 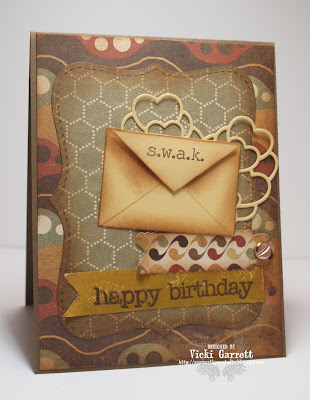 I used this sweet flourish die from IOstamps as an additional embellie!!! Here's the Sketch for next week!!! Make sure you email your submissions to Em so that she can get them up on the Blog! The new Bella release is TODAY!!!! and Em has a sweet surprise for you! Any Order orders over 55.00 will receive a surprise KETTO goodie bag (stamps will be randomly chosen) the value of the goodie bag will be approximately 30.00!! now HOW exciting is THAT!! !